In the Bazas area of South Gironde, you will find numerous craftworkers and artists. There is something here to please all lovers of art! Don’t hesitate to visit galleries, craft shops and exhibition venues to appreciate local art. Explore the artistic side of South Gironde on the Bazas Art Road! Bazas, Pompejac, Saint-Symphorien, Cudos and Bernos-Beaulac are home to talented artists who are happy to share their passion with you! Decorators, clothing and jewellery designers, cabinetmakers, stained-glass artists, painters, art restorers, craft metal workers, ceramists, etc., the list is long but these workshops and boutiques are worth the visit! Why not come away with one of their creations? 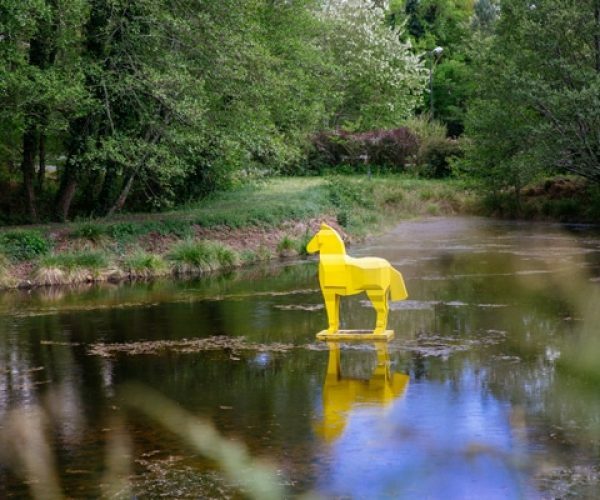 In the Landes de Gascogne Regional Nature Park, in Saint-Symphorien, Captieux and Bourideys, art nestles in nature. An art trail awaits you among the pine trees, where contemporary art works blend into their surroundings! This is an opportunity to enjoy a nature walk and discover the art of South Gironde at the same time. Bazas has no shortage of art galleries! At the Cercle des Arts, local artists display their work in colourful surroundings, with several exhibitions throughout the summer period. 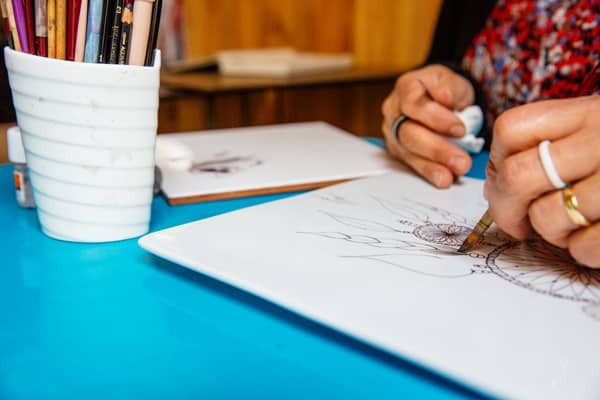 Admire the work of artists from all over the South West, from Landes to Toulouse, at the Galerie Estampille, an art and crafts shop situated on Place de la Cathédrale, Bazas. 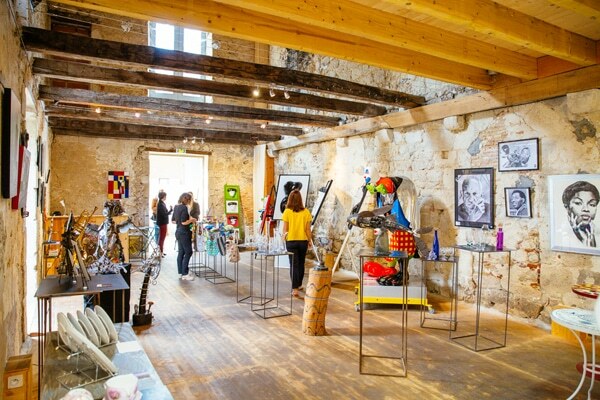 In the historic centre of Bazas, discover Les Ateliers du Gisquet, an exhibition centre housed in the former Ursuline convent. In this 15th century edifice, artists from the Bazas area display their work. Les Ateliers du Gisquet is not only an exhibition venue in South Gironde, it also offers the possibility to try new activities such as bronze working, or take part in conferences and readings. A lively artistic venue in the town of Bazas! South Gironde is a haven for antique lovers! 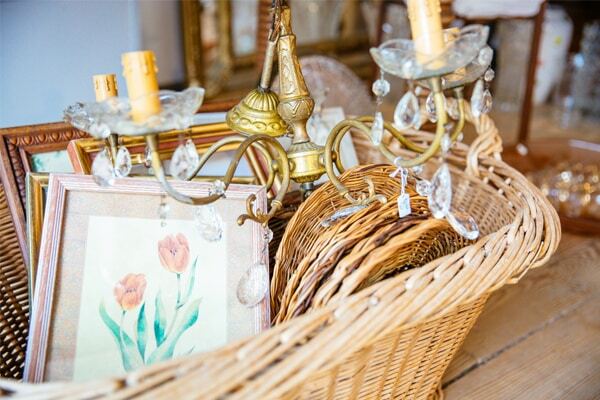 As you stroll through the streets of Bazas, the antique and second-hand shops will catch your eye... browse these shops to discover unique items.